Offering the best of style and comfort, this pair of booties from Daizy will accentuate the overall look of your little one. Fashioned using excellent quality fabric, these booties are lightweight and skin friendly. Daizy brand deals with Dazzling Kids Accessories. Find awesome shoes and accessories at affordable range. 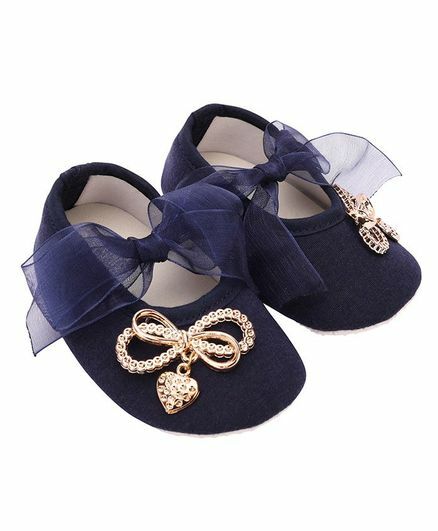 Product is good and soft to use for baby but the flowers on the booties were not intact on receiving the item. I had to stick them again. Without flowers the booties were not looking that good also. light weight,very soft to use & good quality.